Truth be told, most people just aren’t aware of the value of auditing their home plumbing on a regular basis. For a number of reasons, just kind of expected that our plumbing is going to work the way that we needed to – and barring any kind of catastrophic failure, it’s always going to work exactly the way we always expected. Like anything else man-made, NYC plumbing services and systems are going to fail at some point later down the line. Most often, these failure start off as tiny little leaks, pinhole issues, and almost invisible problems that wouldn’t get picked up unless you were monitoring the system frequently – which is exactly why a regular audit is so highly recommended. If you do not want to perform your own regular audits (and who could blame you), you might want to hire professionals like those at Plumbing NYC to come in and tackle the workload for you. They’ll be more than happy to climb into your basement, up into your attic, and poke around in all of your appliances to make sure that everything is working exactly the way it should be and make you aware of anything that isn’t. The number one reason you’d want to perform your own audits (or hire Plumbing NYC to do the work for you) is so that you can get a jump on problems long before they become catastrophic failures that dump gallons and gallons of water into your home and cause hundreds or thousands of dollars in damage in the process. Combine that with the fact that almost everyone in New York City lives on top of or beneath someone else, and you’re talking about an avoidable emergency situation that could cause some serious animosity between you and your neighbors. There aren’t too terribly many people out there that won’t bat an eyelash when you flood their house with wastewater just because you didn’t check up on your plumbing. In fact, you’re probably going to turn some neighborhood friends into some not so friendly neighbors in a hurry if that happens. 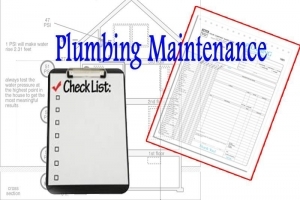 If you just don’t have the funds to spend on a professional audit (or cannot have anything more than an annual checkup from a professional, but want to more consistently monitor your plumbing system), just follow along with the tips and tricks in this quick guide and you’ll be okay. For obvious reasons, you won’t be able to pick up all of the “trouble spots” that NYC plumbing experts with decades of experience would notice immediately, but you’ll begin to spot different things and different areas that might need to be addressed the more you do these kinds of audits. 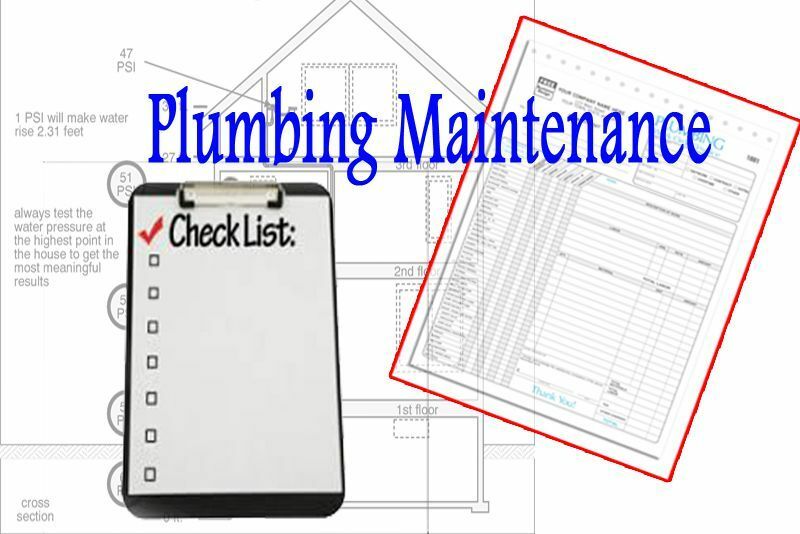 And as long as you have a checklist by your side over there the kind of checklist that we are going to include in this quick guide), you’ll never have to worry about skipping something, missing something, or misinterpreting a problem and confusing it with “everyday operation” of your plumbing system. It’s all about using the tools that you have access to so that you can get the kinds of answers that a NYC plumber would provide you with. The two most heavily trafficked rooms in your house (the kitchen and the bathroom) are going to be the two most likely areas to give you trouble when it comes to plumbing. Your bathroom is going to be the obvious front runner in the headache department, but that’s only because so much of what happens in your bathroom has to do with water being pumped out of fixtures and faucets at a high volume, splashing against you or your bathroom walls, and then (hopefully) being redirected down into inefficient drain system. Your kitchen, on the other hand, will provide all kinds of potentially “invisible” hassles and headaches – especially if you don’t dig around on the inside of your cupboards all that often. These plumbing components are always kept out of view (with the exception of the exposed fixtures in your sink), which is why they are so difficult to inspect unless you know exactly what you’re looking for and are monitoring them regularly. You’ll obviously want to go around with a flashlight and shine just as many of the exposed plumbing pieces as you can, specifically looking for any shiny areas on the pipes that may be reflecting water or moisture that should not be there in the first place. If you can reach any of these plumbing components you’ll want to use a dry rag and “mop them” to see if you pick up any moisture as well. If you think of it, you’ll also want to monitor the rate of water flow in all of your faucets and fixtures in the bathroom and in the kitchen. They should all be consistent with one another, which is evidence of consistent pressure throughout the plumbing system, and if there is something that seems “off” about them you’ll be able to make the necessary adjustments or call in NYC plumbers to do the work for you. Not everyone in New York City has access to their basement, but most everyone has access to a utility room or utility closet – whether it is inside your home or apartment or in a communal space. Regardless, you’re also going to want to do a regular audit of these spaces as well – even if you do not intend to spend money on NYC plumbing services to come in and fix the problems that you discover. In fact, depending entirely upon your position as a homeowner, renter, or leasee, you may only be able to bring these problems to the attention of your building super or the landlord so that they can have them repaired by the best NYC plumber they can find. In those circumstances, you’re pretty much going to be at the mercy of whether or not they hire a high quality firm like Plumbing NYC or some fly by night operation, but at least you’ll have documented proof that you brought the problem to their attention in the event that everything goes pear-shaped and you need to seek recourse for the problems, headaches, and hassles that have been caused by the emergency situation. Once you have access to the basement or utility space, you’re going to want to look at the exposed plumbing to make sure that everything is exactly as it should be. There should be no obvious leaks, there should be no collections of moisture or standing water, and there should be no signs of shoddy repairs anywhere on the system. If you do spot something that you aren’t comfortable with, you absolutely, positively must bring it up with your landlord, super, or an emergency plumber NYC service that you trust. Because of the storied and varied history of NYC buildings, and the fact that just about every building in the city (and the surrounding area) was built in a completely different time period, with completely different materials and building codes, you could be looking at a real mess – one that needs to be deciphered and tackled by only the best NYC plumbing professionals in the area. In those circumstances, you’ll definitely want to contact Plumbing NYC and have them get out to you just as quickly as they can to hammer out the problem and get everything better than brand-new. Some people are lucky enough to have outdoor space in the city that they can call their own (or that they share with other residents), and it’s just important that you inspect these outdoor plumbing fixtures and elements just as closely as you inspect the interior ones. Hoses need to be wrapped up and stored away before winter weather hits the city or they will freeze, burst, and cause serious problems in the plumbing lines come springtime, and you should also make sure that there aren’t any leaks, fractures, or significant damage to these plumbing systems as well. Again, it’s a going to depend entirely upon whether or not you own your property in New York City or are just renting as to who you call to fix these problems, but you’re always going to want to make sure that someone is taking care of the plumbing in NYC issues that you are dealing with. After all, it’s your home, your possessions, and your life that is going to be disrupted, damaged, or even potentially destroyed if these problems get any bigger than they currently are. Lastly, you’ll always want to make sure that you are calling in the very best plumber in NYC every single time you’re dealing with a plumbing problem. Not all NYC plumber services are created equally, and in fact you’ll find that there are all kinds of different NYC plumbing services to pick and choose from – some of them much better than others. You’ll want to do as much research as you can afford to before making a selection, even if you are dealing with an emergency plumbing NYC problem that needs to be taken care of right away. We’d recommend that you go to the emergency shutoff valve to kill the water supply that feeding that plumbing emergency before sitting down to do a bit of research about plumber NYC services that may offer 24 hour plumber NYC professionals for hire. Talk to your friends, your family members, your coworkers, and anyone else in your neighborhood about the NYC plumbing experts they have worked with in the past. They’ll be able to tell you which plumber in NYC has a sterling silver reputation in your area, which ones you should avoid like the plague, and which ones will probably get the job done for you – but maybe not on your specific schedule or inside of your particular budget. But if push comes to shove and you are having a really difficult time tracking down the best plumbing NYC professionals out there, you can always turn to the elite level experts (that are surprisingly affordable) in Plumbing NYC. Offering their services to the citizens of New York City and the surrounding area for years now, these experts offer 24 hour plumber NYC on-call services as well as more “traditional” plumbing services to meet just about any and every demand. Whether you are just dealing with a leaky faucet that is keeping you up at night or have found that your toilet is overflowing nonstop and the shut off valve has frozen solid makes little difference. At the end of the day, these professionals – the professionals at Plumbing NYC – give you the best chance of coming out on top without having to break your bank account in the process.